enables SOLO for selected channel). 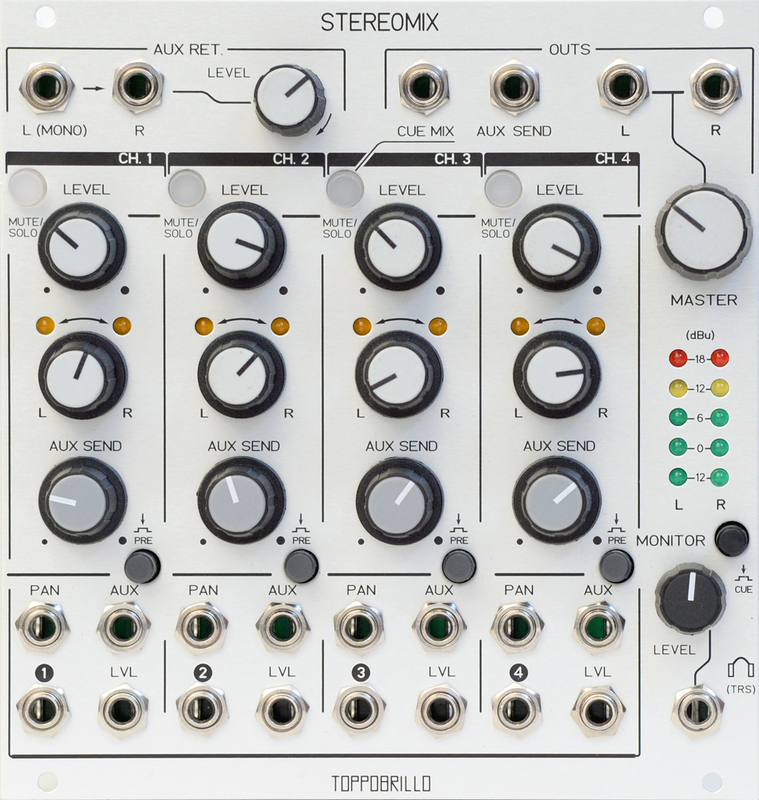 Stereo Aux Return with level control ("L/Mono" return normalized to "R"
channels. -10dB pad available for aux send via jumper. Independent level control of both headphone and main mix. grade" film capacitors and a very low-noise opamp.